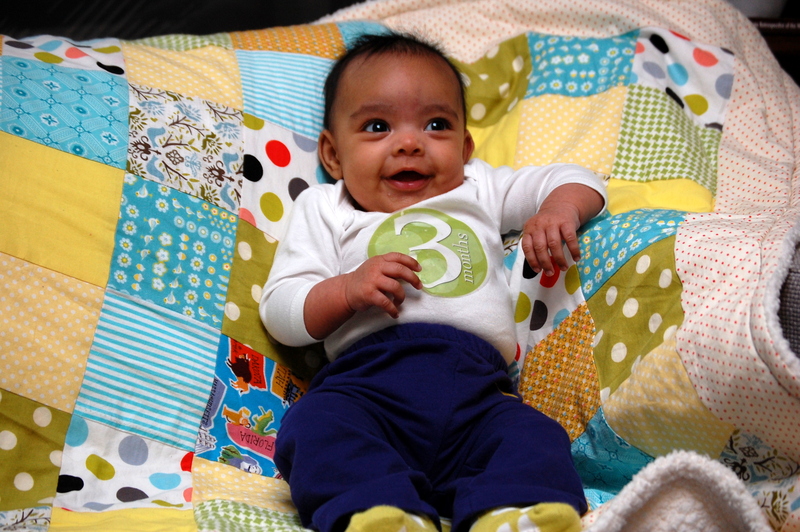 Wow, three months old already. Well, to be exact, three months and three weeks because I am super late in getting this post up. Please forgive me. You are getting more and more of a personality and daddy and I have really enjoyed this month because he has been home a bit more. We have lots of fun getting out of the house and you love to be anywhere that has bright lights and interesting sounds. You also LOVE to see your reflection in the mirror. We celebrated your first New Year’s Eve ( and by celebrated, I mean Daddy worked, you slept, and I watched the ball drop and cried). I cried because I remember ringing in 2011 and hoping and wishing that it would be the year that we would finally have a baby. I’m so glad you are here! 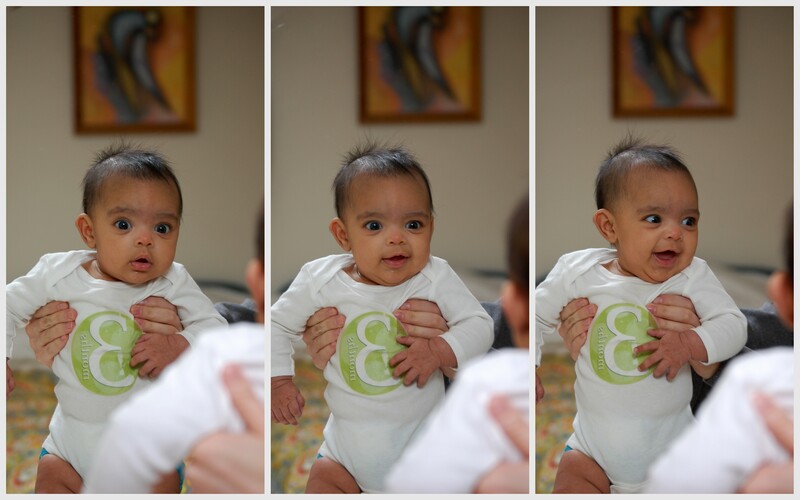 This entry was posted in Dear Baby and tagged Monthly Update. Bookmark the permalink. If only all of us mamas could win the lottery! Although in a way we did, with healthy happy babies. Still, working is the pits. Here’s hoping you get to stay home longer! Very true, Carla. I think I used up all of my luck with this awesome kid, I had better not expect to win the lottery, too!